Everybuggy in Sunny Patch is dizzy with excitement over the Flying Aces, adynamic dragonfly duo who perform amazing airborne feats. But will Miss Spider's son, Dragon, decide to spread his wings with the Aces and leave his family behind forever? 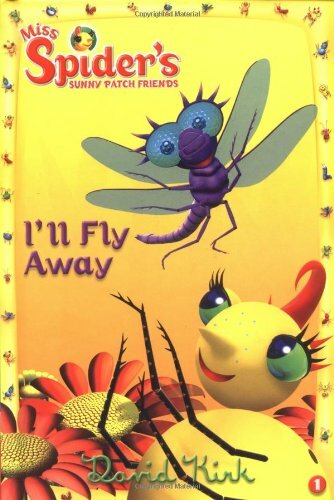 This exciting new story from beloved author David Kirk is based on the daily Nick Jr. series Miss Spider's Sunny Patch Friends. Eye-popping, full-color illustrations rendered in state-of-the-art CGI and a heartwarming message about the importance of family make I'll Fly Away a guaranteed hit.